Over the weekend, bluets suddenly appeared everywhere. They're one of my favorite spring flowers. So simple and sweet! Up close, I love studying their pale violet and yellow colors. From a distance, they seem to magically hover above the grass like a low-lying cloud. My Bluet Cowl is named after them, and to celebrate their return I'm having a flash sale in my Ravelry pattern store. Save 50% on Bluet through midnight EST this Wednesday, May 9. No coupon code is needed — the discount will be applied automatically when you check out. Bluet is a seamless design, knit in the round on a circular needle. It's lightweight — perfect for spring — featuring a pretty mix of ribbing and lace. You can knit it in either sportweight or DK weight yarns. For stitches that pop, choose a crisp wool like Louet Gems (above). 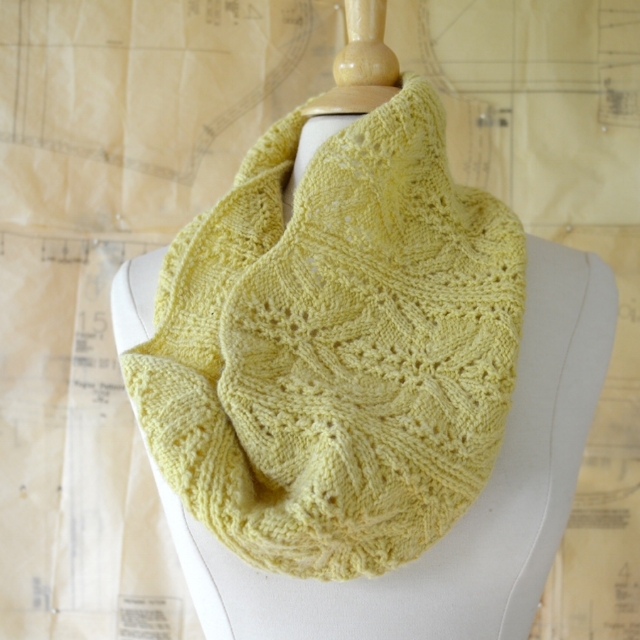 Or, knit it up in a blend of wool and silk, such as Stitch Sprouts Yellowstone (below), for extra softness and drape. Have you seen any bluets yet where you live? I'm not sure if they're early or late, though in general everything seems to be happening a little later than usual here in western Massachusetts this spring. Wherever you are, I hope you're enjoying many beautiful spring flowers. I'm posting a different flower every day throughout the month of May on my Instagram account. You're welcome to join me: the hashtag is #floweradayinmay. Happy spring — and happy knitting! It's cast on time! The Treat Yourself KAL starts today in the Ravelry Blue Peninsula group. For the next six weeks, you're invited to join us as you knit yourself a special accessory or sweater. Perhaps a new cowl? 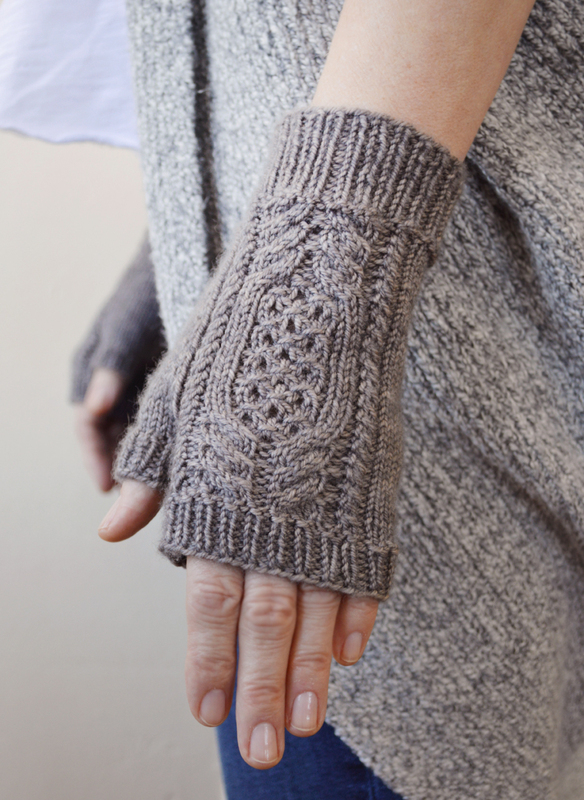 There's my newest pattern — Waverleigh — and lots of others to choose from. Just a reminder, all individual patterns in my Ravelry pattern store are 20% off through midnight tonight (Sunday) with the coupon code TREATYOURSELF. A number of knitters are making the Rowhouse Socks for the KAL. I can't wait to see how they look in different colors! If you haven't done stranded-color socks before, this would be a wonderful pattern to start with. After the colorwork on the calf is done, the knitting is quite simple. The Treat Yourself KAL lasts a full six weeks, ending on February 25. 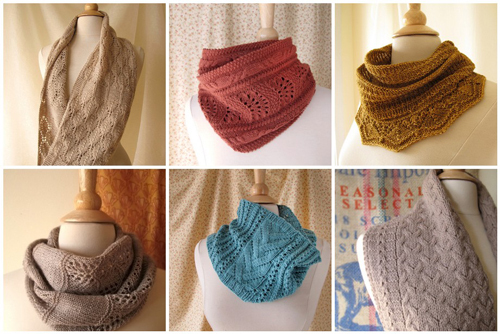 So there's plenty of time to delve into a shawl or sweater. Maybe a lace cardigan, like the Drafter's Cardigan, or a chic layering piece for spring, like the Mathews Street Vest? Both are available as PDF downloads from Interweave.com. 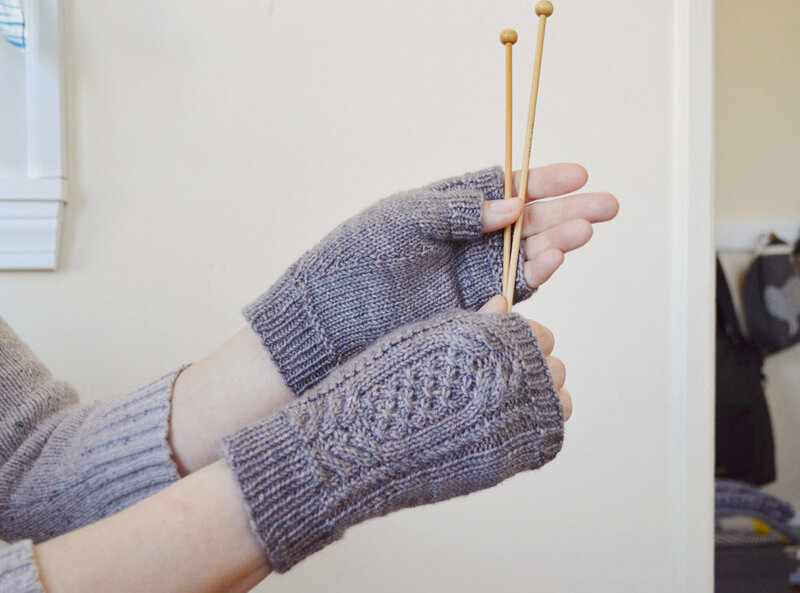 If you haven't got a lot of free time for knitting, then maybe a new pair of mitts might be perfect. (That's probably what I'm making.) Whatever you choose, I look forward to seeing you in the KAL! The Blue Peninsula January sale ends midnight, Sunday, January 14! Announcing my first pattern of 2018: Waverleigh, now available in my Ravelry pattern store. To celebrate its release, I'm having a BIG January sale! Save 20% on individual Blue Peninsula patterns with the coupon code TREATYOURSELF through Sunday, January 14. Use the code as many times as you like (ebooks and sets not included). Crisp twisted ribbing flows effortlessly into an undulating lace-and-cables stitch pattern in this warm and feminine cowl. 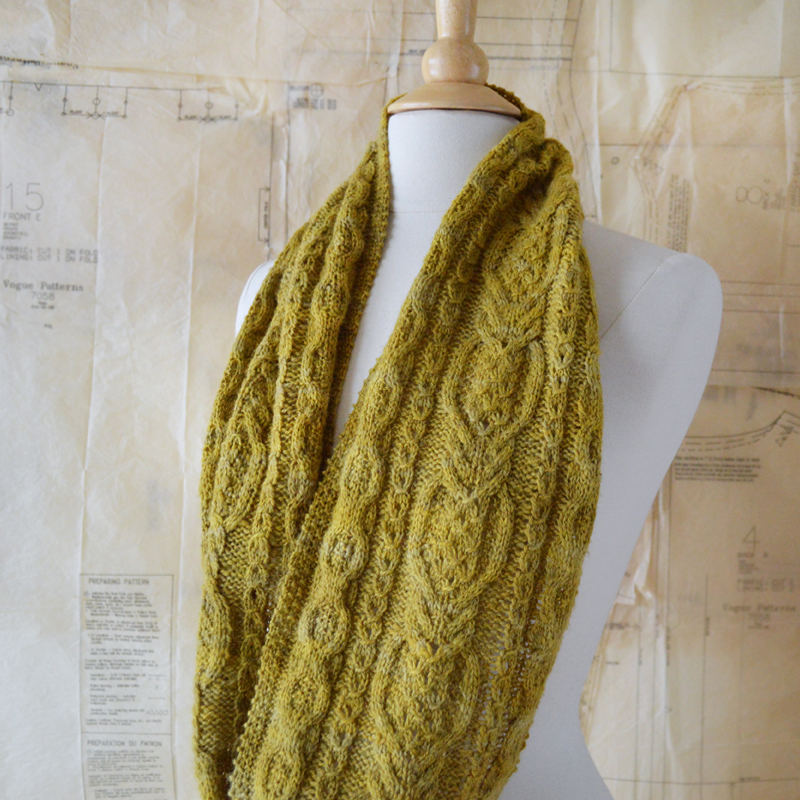 Knit in DK weight yarn, Waverleigh is long enough to wear as a single loop or doubled around your neck. It's worked seamlessly in the round — no grafting or seaming required. Waverleigh requires 365 yds/333 m DK weight yarn. For the sample, I used a Rhinebeck find: Hudson Valley Fibers Moodna DK. This undyed yarn is American-made, a mix of 40% New York State Romney wool and 60% other U.S. fine wool. Moodna was a pleasure to work with; it has a satisfying, wooly halo yet also has beautifully crisp stitch definition. 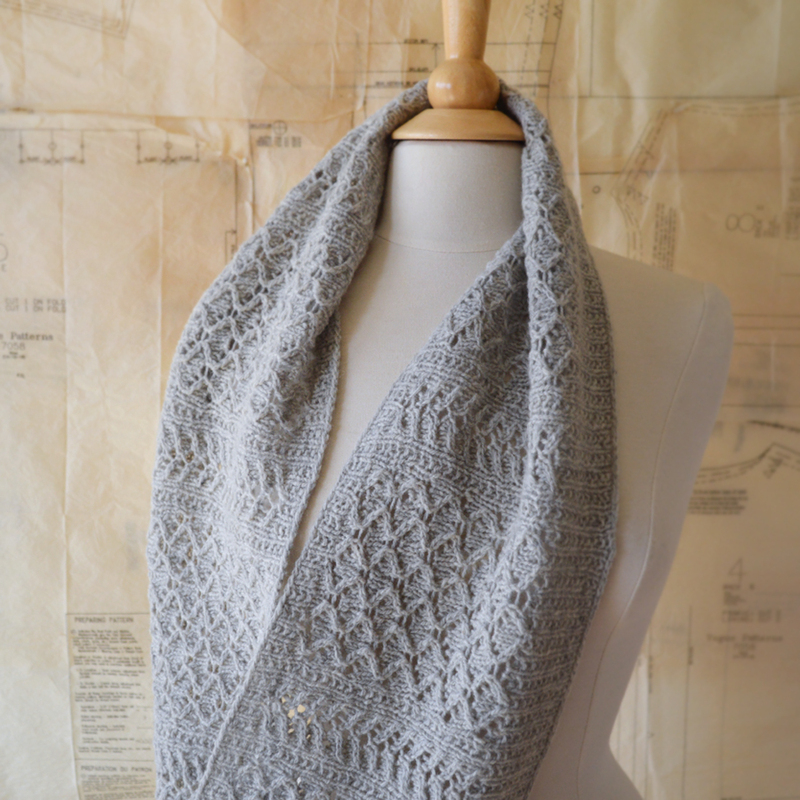 Waverleigh would be a lovely project to cast on for the Treat Yourself KAL starting this Sunday, January 14. Any of my designs can be knit for this KAL, as long as you're making it for yourself. We have some delectable prizes, too. Get all the details and join the KAL in the Ravelry Blue Peninsula group. I hope your New Year is off to a happy and peaceful start. Hope to see you in the KAL! 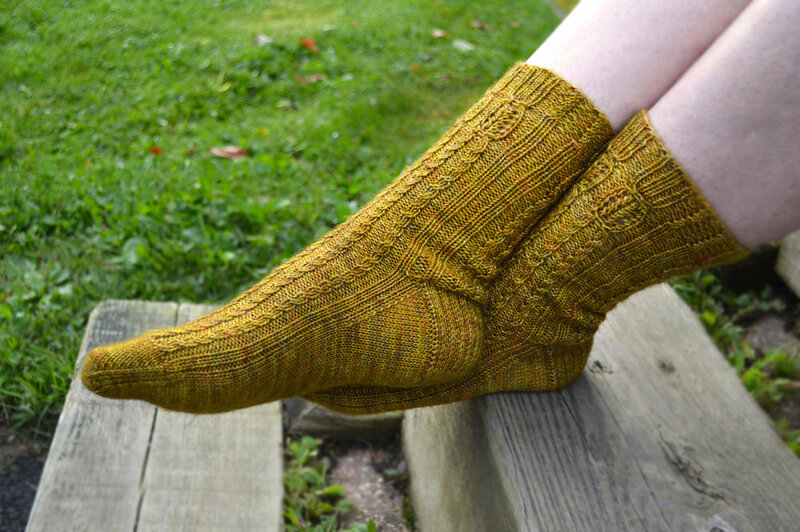 Another dragonfly-inspired design has winged its way into my Ravelry pattern store! 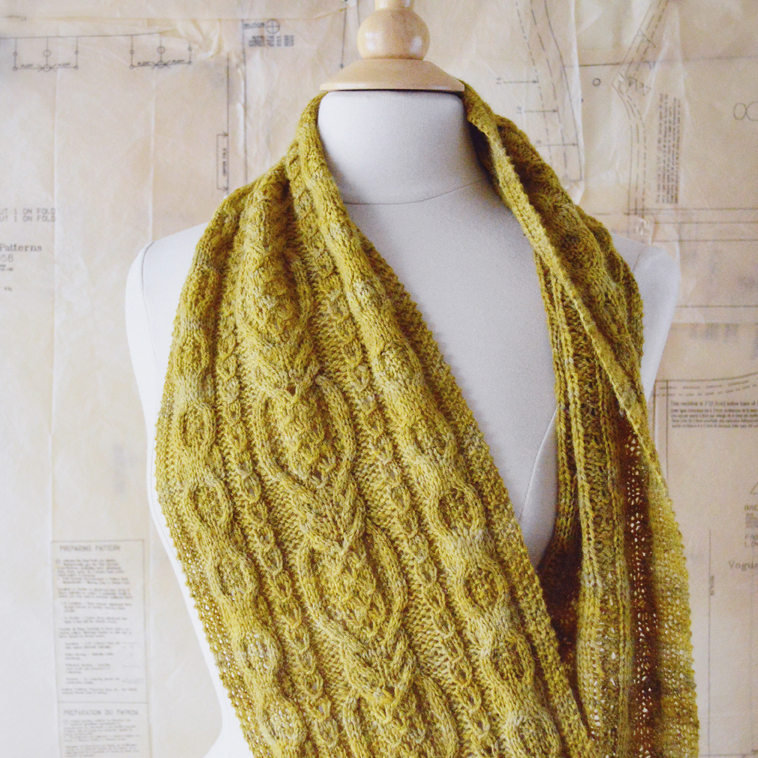 The Cordulia cowl is now ready for your knitting needles. To celebrate its release, I'm having an introductory sale: through Sunday, September 24, save 25% on Cordulia with the coupon code COWL25. 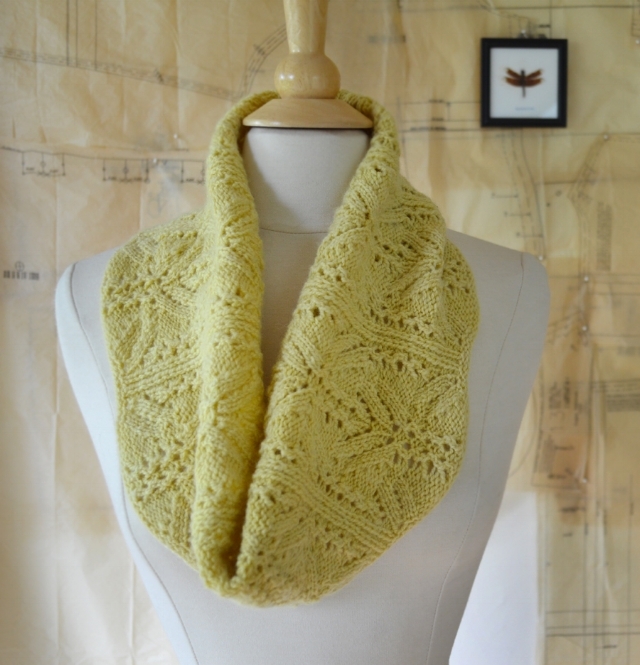 Named after a genus of dragonflies, Cordulia is one of three lace accessories in my new ebook collection, Dragonfly Days. The first was the Enallagma shawl, released earlier this summer. The third and final design will be released this fall. The Dragonfly Days collection was born during the early days of summer 2017. As I swatched a pretty lace stitch for the Enallagma shawl, I really loved two things about it — the way the cast-on edge naturally formed gentle scallops, and the way parts of the lace resembled dragonfly wings. The more I worked on the shawl, the more I wanted to explore the lace stitch further. So I played around with it, modifying it to create Cordulia. From start to finish, designing this cowl was an enjoyable process, and I can't wait to work with this beautiful lace stitch again for another design. I’ve always been fascinated by dragonflies. I love their glittering wings. I love watching them dart back and forth over the water. Although they’re so quick, they make me want to slow down — slow down and pay closer attention to the natural world. With the Dragonfly Days patterns, you can keep the warmth of summer and the magic of dragonflies near you all year long. I hope you enjoy them — and thanks very much for reading! I'm going to call it Cordulia, which is a genus of dragonflies. This is my second dragonfly-inspired design (the first was the Enallagma Shawl). I used a 24-inch US5/3.75mm circular needle and one skein of Foxhill Farm DK-weight Cormo, which I dyed with marigolds (it took about 295 yards/270 m). If you're curious about how I dyed the yarn, there's more info in this blog post. 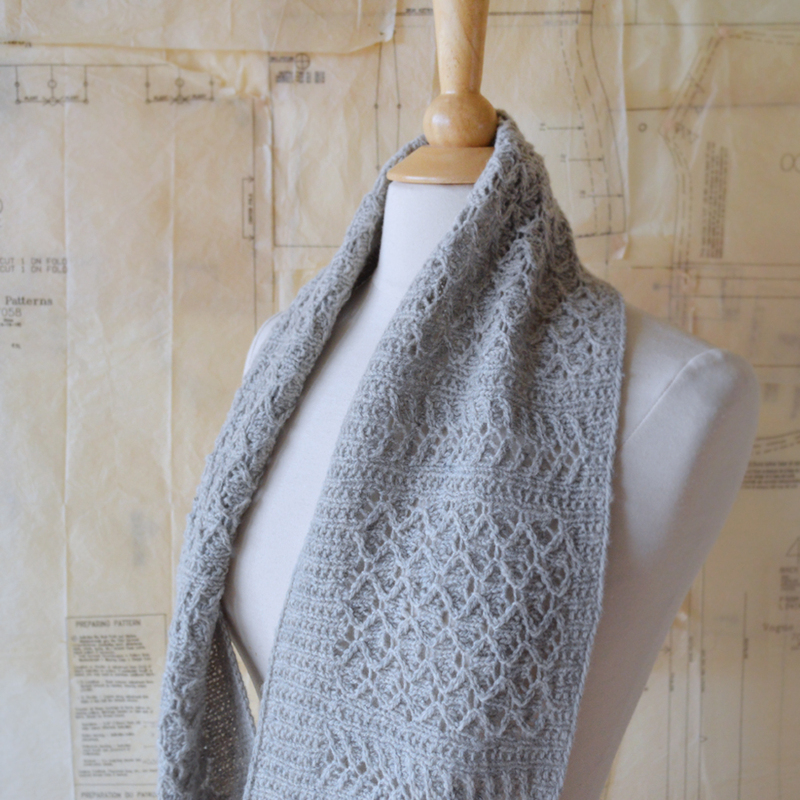 I've finished the pattern and sent it off to my tech editor, so it won't be too long before it's ready to publish. Look for it before the end of September. P.S. The Free Fall KAL in the Blue Peninsula Ravelry group just kicked off the other day. Each week as we knit, we're also discussing a different topic. This week the topic is: What are your favorite resources for learning new techniques? Books and magazines, classes at your LYS, online videos, your knitting group? You're welcome to join the KAL anytime between now and November 15, to share your thoughts and knit any of my designs (new projects and WIPs are both welcome). At the end of the KAL, prizes will be awarded randomly to posts in the discussion thread, so everyone who participates has a chance to win, even if they don't finish their project. Hope to see you!